reopening at 9am on Monday 8 January 2018. 2017 was a big year, and a year of change. As I reflect on our achievements over the past 12 months, innovation is the common theme; innovation in everything that we do, from our internal tools and processes right through to the content output of those processes. January – we announced our work on the development of oil and gas standards to help promote sustainability and enhance links between stakeholders across the energy resources sector. February – we launched ISOlutions, the international platform to streamline e-balloting for ISO mirror committees. March – we published the revised, nine-part Australian Bridge Code, addressing areas like timber bridge design and bridge rehabilitation. April – we heard from the world’s leading minds on blockchain when we hosted the International Blockchain Conference and the first meeting of ISO/TC 307, Blockchain and Electronic Distributed Ledger Technologies. May – we recognised outstanding contributions to industries like forensic science, gas, human resource management, refrigeration and air conditioning, and consumer science with our Standards Awards. June – we published the Digital Hospitals Handbook to help Australia deliver connected care through hospital services through the use of technology. July – we launched our Request for Proposal, asking publishers and distributors to provide market terms for the future distribution of our content. August – we unveiled the Academy for online learning, SIM as our new digital repository, Skype for Business for improved web conferencing, the simplified drafting template for a content-driven drafting experience, and our brand new meeting room facilities. An enormous achievement by any measure. September – we brought together senior industry and government leaders to determine the future of battery storage standards in Australia. October – we hosted an industry forum on Smart Cities to align with this year’s World Standards Day theme of ‘standards make cities smarter’. November – we introduced the Incubator at our Annual General Meeting and Council. The incubator is an innovation ecosystem for testing new ideas and using design thinking to find solutions. December – as the year comes to a close, I applaud all of our contributors. Thank you for all of these achievements and so many more throughout 2017. I look forward to an exciting and equally achievement-filled year in 2018. Kate Fraser is the Learning and Development Manager at Standards Australia. Kate drove the development of the Standards Australia Academy, an accessible online learning platform for our contributors and staff. Before working at Standards Australia, she was an active committee member on several technical committees, mostly related to topics of children’s safety. Kate was also a member of the pilot Young Leaders Program and was the winner of the 2017 Star of Standards Award for excellent staff contributions. Standards Australia: What advice do you have for committee members based on your own experience? Do your homework: prepare for the meetings, read the documents, engage with the project manager and chairperson beforehand, understand the agenda, ask your nominating organisation for their input. You will enhance your knowledge of the project while building respect within the committee. Build relationships: Get to know your fellow committee members and what matters to them. Talk to them during the breaks, perhaps go out for a coffee or meal. Alternatively, you could give them a phone call between meetings to ask their opinion. Know how standards are developed: It goes without saying that if you know the rules of the game then it’s easier to kick a goal. This is another investment of time but it is worthwhile familiarising yourself with the standards development process, the roles and responsibilities and the drafting rules. The best way to do this is to take advantage of the learning materials in the Academy. SA: Tell us about the Academy and the value it brings to committee members of all experience levels. Welcome to the World of Standards – this program is perfect for committee members who need to be briefed about our process, our people and our products. This program offers eLearning tutorials, quizzes, video interviews with some of our national chairpersons, and finishes with a webinar. How to write an Australian Standard – this program educates committee members on what word to use and when, during the process of standards writing. This program offers videos, an eLearning tutorial, as well as a face-to-face workshop. It provides a practical and straightforward approach to understanding the drafting rules. SA: As the world of standards changes, how will Standards Australia’s learning and development change? KF: The Standards Australia Learning and Development Team is committed to delivering interesting, relevant and useful content for our committee members. We will be constantly changing to meet the needs of the committee member and take advantage of new learning technologies. Our team encourages all committee members to visit the Academy on a regular basis, engage with the materials and look out for our updates in E-News and social media. Please contact us on [email protected] with any feedback, we’d love to hear your thoughts. Following an industry roundtable where Standards Australia committed to fast track the development and adoption of appropriate product safety standards, a key international standard has been adopted for use in Australia. AS IEC 62619:2017, Secondary cells and batteries containing alkaline or other non-acid electrolytes - Safety requirements for secondary lithium cells and batteries, for use in industrial applications, covers safety requirements for secondary lithium cells and batteries for use in stationary and motive applications. This standard can also be used for residential and commercial battery systems. This month Standards Australia hosted a three day meeting to progress critical work on the development of DR AS/NZS 5139, Electrical Installations – Safety of battery systems for use with power conversion equipment. The technical committee EL-042, Renewable Energy Power Supply Systems and Equipment, worked through a restructure of the standard to remove building requirements and redraft placement and location requirements previously included in the standard. Standards Australia has submitted a proposal for a new International Standard on water efficiency labelling with the help of Singapore, Malaysia, China and New Zealand. This aims to further reduce domestic water wastage, support the government’s Water Efficiency Labelling and Standards (WELS) scheme and make it easier for more countries to benefit from using water efficient products. Water is the world’s most precious resource and we all have a responsibility to use it wisely. The UN's Sustainable Development Goal 6 (SDG6) notes that access to safe water and sanitation is essential to human health, sustainability and economic growth. As part of Australia’s commitment to greater water efficiency, the Department of Agriculture and Water Resources manages the WELS scheme. WELS reduces demand for high quality drinkable water by informing consumers about water efficiency at the point of sale. The new proposal follows Standards Australia’s development of the joint Australian and New Zealand Standard AS/NZS 6400, Water efficient products – Rating and labelling, through the technical committee WS-032, Water Efficient Appliances. This standard contributes to a more water efficient Australia and helps consumers identify which products are “best-of-breed” when it comes to water usage. The proposed International Standard would assist manufacturers of specified products to transact in a common market, enabling competition and encouraging best practice. It would also empower consumers to use water more wisely. The WELS Regulator in the Department of Agriculture and Water Resources, Mr Paul Morris, said an international standard would benefit both consumers and business in reducing water wastage globally. “Australia’s WELS scheme has been very successful in reducing domestic water use in Australia. 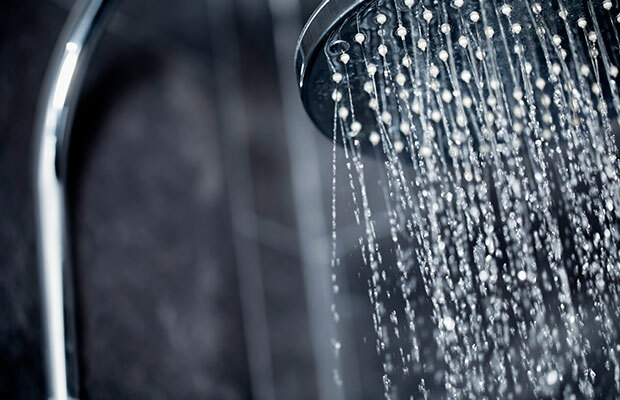 Consumers use the information on the WELS label to make informed purchasing decisions that save water and save money on utility bills,” said Mr Morris. “By 2021 it is estimated that use of water efficient products will help to reduce domestic water use by nearly 150,000 megalitres each year—enough water to fill 60,000 Olympic swimming pools. “In addition, Australians will save more than one billion dollars overall through reduced water and energy bills. “An international standard will benefit Australian consumers and manufacturers by reducing manufacturing costs, and will help other countries implement water efficiency schemes that can save water and reduce the need for costly water infrastructure.” Standards Australia CEO, Dr Bronwyn Evans, applauded the committee for positioning Australia as a leader for this initiative. “An international standard would harmonise existing national systems and help facilitate a common market. “With Australia driving this important area of work, we are shaping the way the world works together to reduce our global impact,” said Dr Evans. Standards Australia’s submission has been registered with the International Organization for Standardization (ISO). The 161 member bodies of ISO will now consider and assess the proposal before commencing work. Standards Australia welcomes proposals to amend, revise or develop new Australian Standards®. The next round of project prioritisation will open on Monday 5 February 2018 and will close on Wednesday 7 March 2018. You can learn more about the process on our website, or speak to one of our Stakeholder Engagement Managers. Recently Standards Australia and the Australian Government – Department of Industry, Innovation and Science, held an industry forum to discuss what, if anything, needs to be changed to help Australia remain safe from asbestos and to identify what could be done to achieve this. Over 30 industry, regulatory, research and government attendees took a holistic approach to understanding where the issues may reside throughout the Australian asbestos management process, and the role that standards may play in addressing these further. Stakeholders interested in learning more about the Asbestos Forum, and participating in future activities to support this topic, are encouraged to contact Catherine Dunkerley, Stakeholder Engagement Manager, at [email protected]. Standards Australia has made changes to Standardisation Guide SG-006 to further support harmonisation between Australian and international standards. The revised draft of SG-006, Rules for the structure and drafting of Australian Standards®, is now aligned more closely with the ISO / IEC Directives, Part 2, Principles and rules for the structure and drafting of ISO and IEC documents - 2016 (7th edition). The public comment period for the draft SG-006 was open from 17 November 2017 to 15 December 2017 on our pilot site http://pcpilot.standards.org.au/, where it will remain until final publication in February 2018. We thank those who have provided feedback on this draft SG-006 and the collaboration software used for commenting. Current projects at drafting stage will be aligned to the updated SG-006. The standards development team will work with all relevant technical committees through this transition. If you have any further feedback, please send comments to [email protected] with your contact details. Earlier this year Standards Australia introduced the ISOlutions balloting tool to simplify voting on ISO draft standards for Australian mirror committees. We are pleased to advise that other documents issued by ISO committees will now be available directly from the ISO National Mirror Committee application. This means committee members can efficiently access historical information about the committee’s activities and any new documents issued by ISO. We have developed a quick start guide (available through the Standards Australia Academy) to help you get started. Committee members may see changes in the coming weeks to the permissions in their ISO accounts. However, the ability to access documents will not change – just follow the steps in the quick start guide. We have workshops lined up in major cities across Australia on ‘How to write an Australian Standard’, and an induction program (including webinars) which covers the standards development process in the Standards Australia Academy. Sign up today to register your learning for next year. Have your Hub log-in details ready to access the Academy. Australian Forestry Standard Ltd has changed its name to Responsible Wood. The change, announced in Hobart on November 21, reflects the company’s commitment to implementing a clear consumer-focused strategy about the sustainability of certified Australian wood products. “Our new name, Responsible Wood, and shield logo, reflect the transformational change we are embarking on as we begin to proactively raise awareness and understanding of our certification scheme and standards and drive demand for certified Australian wood and wood products,” Dr Hans Drielsma, chair of Responsible Wood, said. “While we remain committed to our core function as a standards development organisation and scheme owner, our new name and logo better demonstrate what we stand for,” Dr Drielsma said. Responsible Wood is seeking your comments on a proposed amendment to AS 4707:2014, Chain of custody for forest products. AS 4707 is the Australian adoption of the PEFC International Chain of Custody Standard. In the adoption process, the word “country” in the PEFC document was translated as “state” in AS 4707 (Appendix 2-Clause 2.6). This has created an unintended state based restriction that can impact organisations operating across state boundaries. The purpose of the amendment is to realign AS 4707 with the PEFC International Chain of Custody Standard and remove the unintended and unworkable state restriction. Further information on how to lodge comment can be found here (PDF).